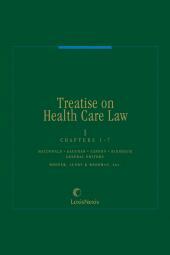 This definitive treatise covers the entire spectrum of legal affecting health care law practice, serving as a primary reference work and authority. 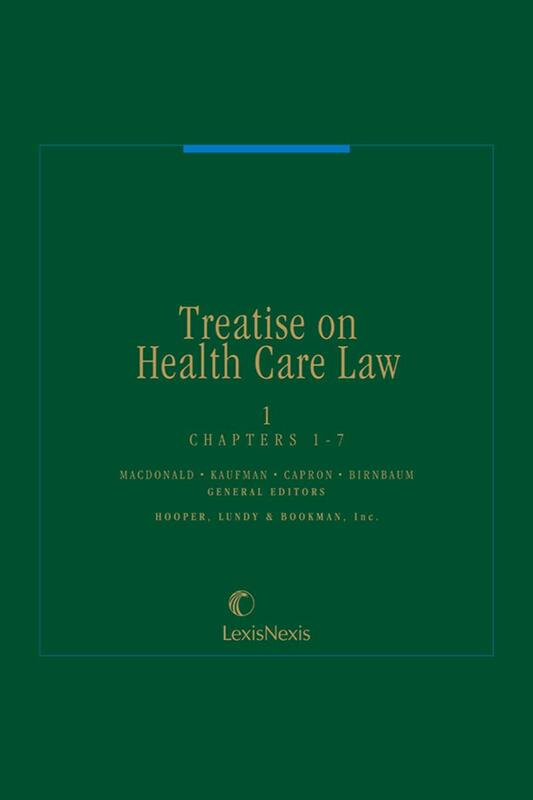 Treatise on Health Care Law speeds your research with special features designed to pinpoint the information you need quickly, including: detailed chapter synopses; extensive statutory, regulatory and case citations and excerpted materials; timesaving state-by-state charts. Hooper, Lundy & Bookman, Inc., a national health law firm, was founded in 1987 and is now the largest law practice in the country dedicated solely to the representation of health care providers. The firm has offices in Los Angeles, San Francisco and San Diego and clients in 46 states, serving a broad array of health care providers, ranging from the largest national health care organizations to community hospitals and individual physician practices. Robert W. Lundy, Jr. is a founding partner of Hooper, Lundy & Bookman, Inc., the largest law practice in the country dedicated solely to the representation of health care providers. Since 1978, Mr. Lundy has specialized in health care business transactions, including joint ventures, private placements, structuring of physician organizations, financing, acquisitions, mergers, alternative delivery systems, and licensing and certification matters. He is the immediate past president and a member of the Board of Directors of the California Society for Health Care Attorneys, and is the former Chairman and Vice-Chairman of the Healthcare Law Section of the Los Angeles County Bar Association. He also serves as the Chairman and a member of the Board of Directors of Partners In Care Foundation. Mr. Lundy was named one of Southern California's Super Lawyers by L.A. Magazine for 2004, 2005 and 2006, was recognized in 2005 by Chambers USA as one of the top health care lawyers in California and was nationally recognized as one of the "Outstanding Healthcare Transaction Lawyers of 2003" by Nightingale's Healthcare News. Mr. Lundy has lectured on health care legal issues before a number of organizations, including the Washington State Hospital Association, the California Society of Hospital Attorneys, the Los Angeles County Medical Association, the Los Angeles County Bar Association, the National Health Lawyers Association, the American Hospital Association, the Orange County Medical Association, the United Hospital Association, the Health Care Financial Management Association, and the Hospital Council of San Diego and Imperial Counties. He has also served as guest faculty at the U.C.L.A. 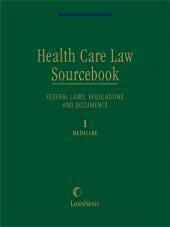 School of Public Health and the University of Southern California and has authored several articles on health care legal issues. Mr. Lundy graduated with high honors from Yale University in 1972. In 1975, he received his J.D. degree from the University of California at Los Angeles, where he was the recipient of the Distinguished Advocate Award.